124cc YBR 125 74 BHP ONLY 8000 MILES!!! As far as entry-level motorcycles go, the Yamaha YBR125 will have you covered. Representing great value for money, this bike will get you through your test, help you to make light work of the daily commute and provide enough fun at the weekends. 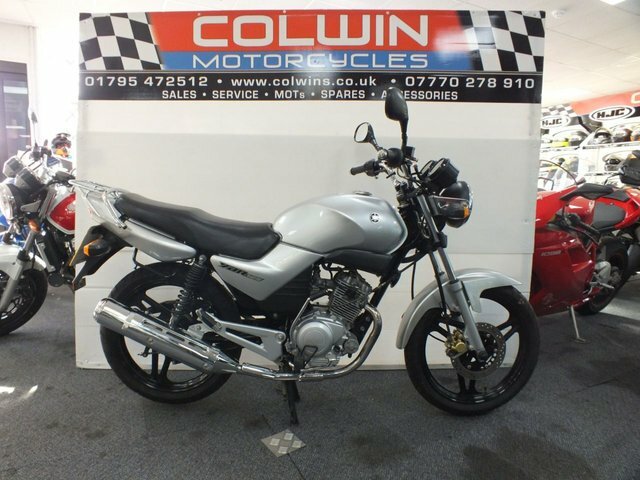 The best way to find out more about the range of used Yamaha YBR models for sale in Sittingbourne through Colwin Motorcycles is to pay a visit to our showroom in person. A warm welcome is guaranteed and you'll find that our friendly and knowledgeable staff will go the extra mile to ensure you track down the perfect used bike to fit your requirements. Contact us now for a chat and to book a test ride.